If you're a Xbox One or Wii U owner who's a fan of cartoony graphics, stealth gameplay, and stories that tug at your heartstrings all rolled into one game, then you'll be pleased to know that Octodad: Dadliest Catch is coming to Xbox One and Wii U this summer. 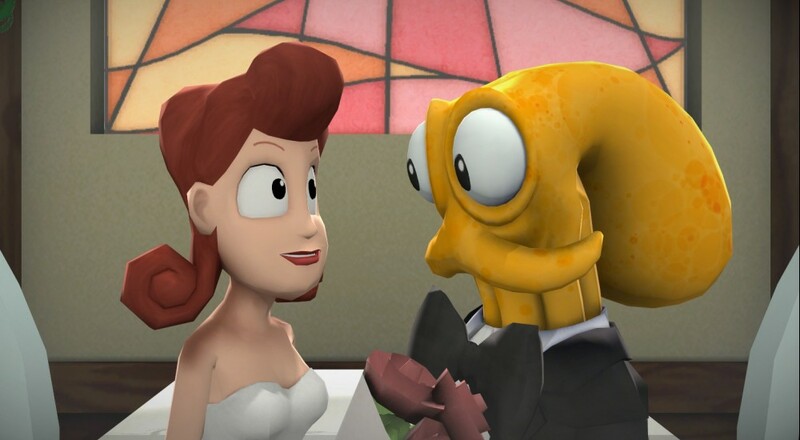 Octodad: Dadliest Catch has been out on PC and PS4 for over a year now, but it's finally... slithering? Undulating? Well, "octopoding" its way onto Xbox One and Wii U Q2 2015. The game's developer Young Horses will be handling the Xbox One port while Panic Button Games will co-develop the Wii U port. As in the previous versions, up to 4-player local co-op will be supported with each player controlling different tentacles of Octodad. This can provide quite a challenge as Octodad has to do everyday tasks while refraining from standing out from humans. In our review of the game, we found the story to be both humorous and heartwarming. As for the co-op mechanics, while some players may find the mechanics to be extremely entertaining, others may find them to be downright frustrating. Chances are, you'll know which camp you fall into once you know exactly how the game's mechanics work.